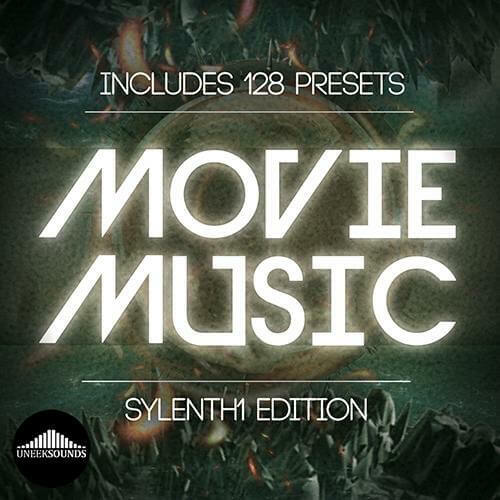 ‘Movie Music: Sylenth1 Edition’ has been designed with big sounds in mind featuring 128 presets for just about every genre including Ambient, Film, Underscore, Hip Hop, Dance, etc. With Snares, Claps, HiHats, Leads, Bass, FX, Synths, Arps, Atmospheres and Pads you have a very wide and useful collection of presets to choose from. We have the big sounds that will fit any style of music and will match our forth coming and past “Movie Music” releases. If you want quality pro presets this release is one of our very best for sylenth1.